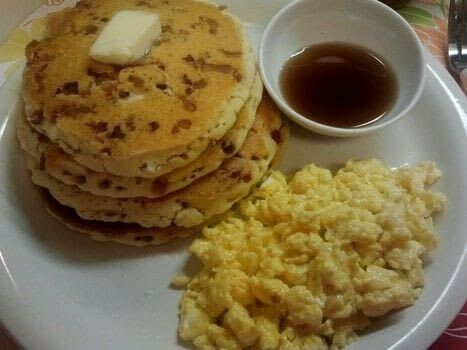 Not Feeling Like Tradional Pancakes Today? Try These! Tired of plain syrup? Or are you like my husband who loves bacon with everything? lol! 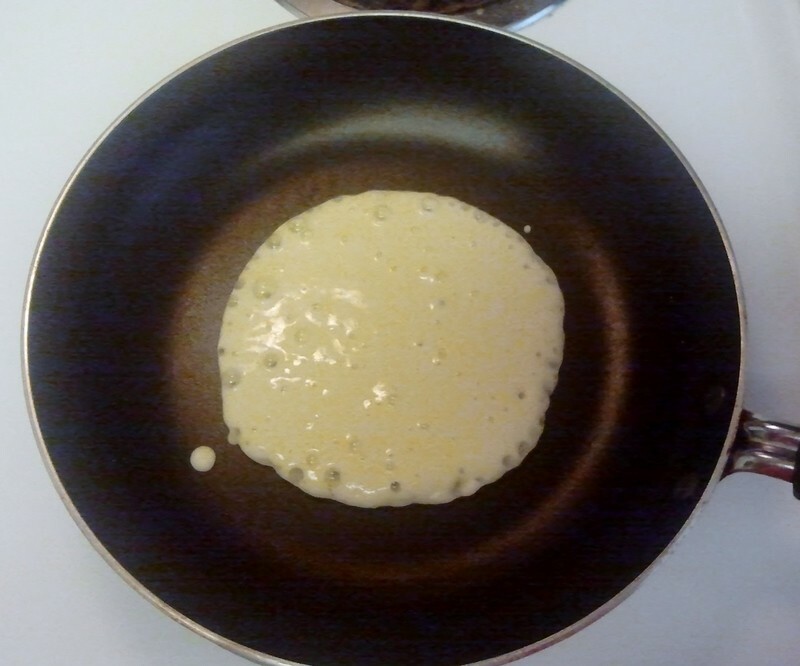 While your skillet is preheating, make your Pancake mix as called for on the box. When your skillet is hot, pour about 1/4 cup Pancake mix on to the pan. Sprinkle on the Bacon Bits to your liking. 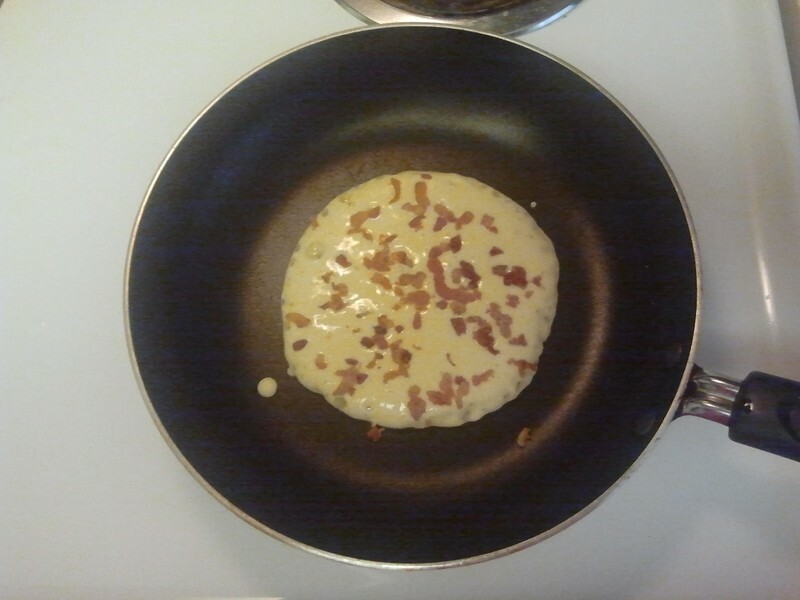 *TIP* Using a measuring spoon in this step will help keep things even and also help you use/eat less bacon! I used about 1 tablespoon per pancake which = about 25 calories. 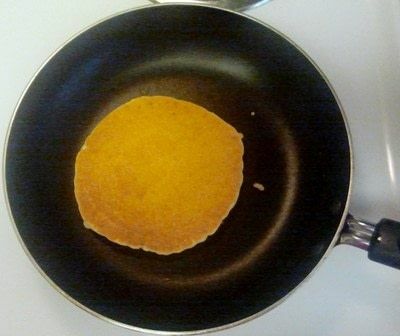 After about a while check the underside of your pancake, if its golden Flip It. If not, wait a moment more and check again until ready. 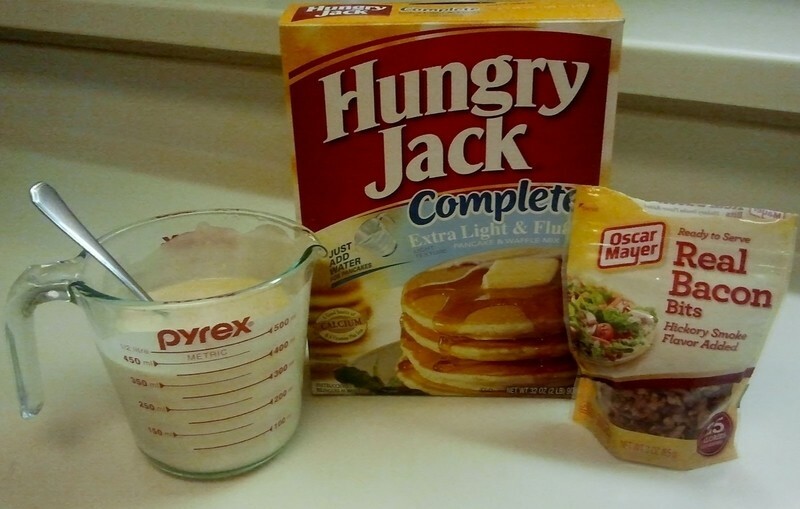 Repeat steps for the rest of your pancakes. I made scrambled eggs with cheese. 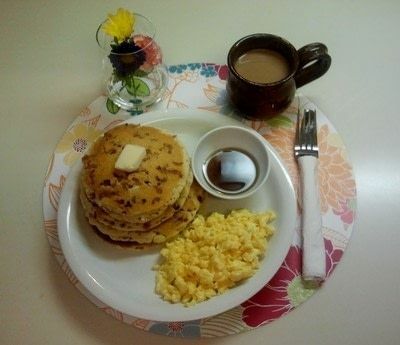 Breakfast is the most important meal of the day, so make it awesome!